Award winning Software for Consultants - Latest Version - Order Here Award winning software voted most complete 203k package presented to mortgage bankers association. The best 203k consulting software on the market has just gotten better. You can print a sample report and review each page prior to printing it and modify it if you need to. The WWU saves to a pdf file that you send to your lender. You can even create a WWU if your lender is new to the process and needs help to fill it out. Best Consultant Training Course - WITH PDF WORK BOOK - Order Here We provide you with a reference book in a binder with examples of all the forms you need to turn in but more importantly we teach you what to do from start to finish on a consultation. What to say, when to say it, and how to write it up and what to turn in to stay on top of your game. The training contains audio versions of the Basics, The 203k as a Team Sport, and the original 'Escrow commitment procedure' as it applies to investors...though investors can't buy, non profits can use it. Contractors and the FHA 203k loan program - Order Here Contractors who are looking to get more renovation work. You should take our consultant training course, this way you know the rules you will be playing by. Training is $489.00. You can purchase this combo that also provides you with 203k software for on full year, used for creating your bids in the correct format saving you lots of time and effort. $250.00 per year. This totals $739.00, purchase today and get both for $675.00 + applicable taxes. Everything is downloadable and can be installed in minutes. Deposit for your consultation - Order HereCharge your Consultation cost in the amount of $600.00 and If the fee ends up being different from this we will adjust it in escrow. Feasibility Report Duplex - Order Here Feasibility Analysis costs $450.00 for a duplex and may have a mileage charge depending on the distance. The fee and mileage charge will be collected on site at the time of the inspection. A Feasibility Report $650.00 (fourplex). Mileage may apply when over 90 miles from one of our offices. The fee and mileage (if applicable) cost will be collected on site at the time of the inspection. Feasibility Report SFR - Order Here Our standard Feasibility Analysis cost is $350.00 and may have a mileage charge depending on the distance. The fee and mileage charge will be collected on site at the time of the inspection. Standard feasibility report is to determine the cost to bring this home up to the FHA MPS while the Enhanced Feasibility Report costs $500.00 (SFR) and we not only identify the "MPS" mandatory repairs, but include a separate list of items "most buyers would improve" to make your report the fastest way to sell a "fixer". Mileage may apply when over 90 miles from one of our offices. The fee and mileage (if applicable) cost will be collected on site at the time of the inspection. This is quite often used by new investors who "haven't a clue" about the rehab or renovation industry & need that "expert" guiding them through a few. We have some investors that want us on every project. Additonal units or very large homes cost $600. Additional $100 for each additional unit above the first one. Get your Advanced marketing program - Order Here This advanced marketing program includes our assistance in getting you known in your area as the person to go to for construction lending, not just the FHA 203k. We will show you how to "own" your marketing area via some SEO loaded on your own website. This website is all yours and focused on renovation loans and your consulting. We have had a number of our clients say that our marketing program is worth the entire investment in our system all by itself. 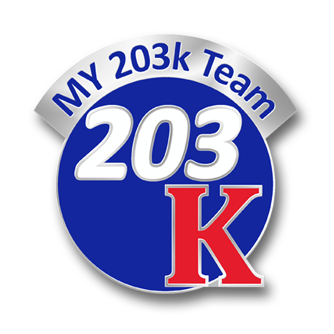 Informational 203k Seminar - Order HereFREE to Realtors, Lenders and 203k Consultants who want to build a 203k presence in their market. This is a 20-40 minute presentation when we are in your area. We do it a little differently by having all of the pieces of the puzzle in the room at the same time we actually put deals together in the room so everyone goes home with a plan to get their new house. I guarantee we can open your eyes to some new possibilities. I've had Realtors beg me for some of our leads after the presentation. Make more money consulting webinar Make more money consulting using the knowledge you already have from your 203k consultant training. This webinar will show you how to take the knowledge you already have consulting and turn it into another profit center. You will see what you have to do to get your inspection fees up under the current "Guideline" restrictions but more than that you will see another way to use your skills to make more money that you ever thought was possible. National Lender Training We will be providing three seminars during the training that are open to the public and have proven to be quite a sales tool for our lender clients. We will guarantee a minumum number of loans. Software additional unlocks (per unlock) - Order HereAdditional unlocks is your security that you will be able to use your software for many years even if you have a crash. We will maintain this unlock system for you. These "additional unlocks" are for computers owned and operated by your local office, not a national chain. We suggest you back up your computer files regularly... the important file is 203k.may. Everything else we can recreate. Your data, however should be backed up regularly and often. Software for 203k - Cntractors Version - Order Here Award winning software voted most complete 203k package presented to mortgage bankers associations all over the country. Version 2010 will be released on July 4th 2010. The best 203k consulting software on the market has just gotten better. Now you can include your photos, before and after if you like. You can view each page prior to printing it and modify it if you need to then print it. It saves to a pdf file that your lender may adjust if necessary on the maximum mortgage worksheet. Upgrade your Award Winning Software for Consultants - UPGRADE ONLY - Order Here You must have a valid copy of an older version to be able to purchase this upgrade.